Hjemme Ekstern Elite Ready for 2018 – defending our title! 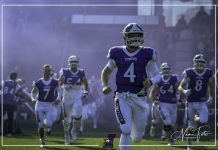 The Danish American Football Federation has released the 2018 National League schedule. This year the National League has been reduced to seven teams, each of which will play 10 games in the regular season. It’s time to mark your calendars. With a 10-game regular season each of the five home games at Towers Field in Gentofte Sportspark is a can’t-miss-game. We will open the 2018 season at home against the seventh ranked Frederikssund Oaks on Sunday, April 8th at 14:00 (2 p.m.). This will be a reunion of sorts with an old adversary that we have not faced in several years. The Oaks beat the Amager Demons in the relegation games last season to earn a spot in this season’s National League. But there is plenty of history and ties between these two teams. The Towers hosted the Oaks on May 9th 2003 in the first ever Friday Night Football game in Denmark; An annual tradition that the Towers have since continued and that has spread to other teams across the country. Back then the Oaks were quarterbacked by our current Athletic Director, Anders Munch Skovgren. So, all in all, it will be a pleasure to welcome the Oaks to Towers Field to kick-off the season. Then follows three straight road games. 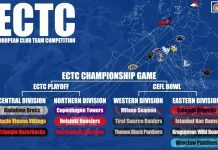 The first one is against the sixth ranked Copenhagen Tomahawks who qualified for a second season in the National League after a tough 2017 season. 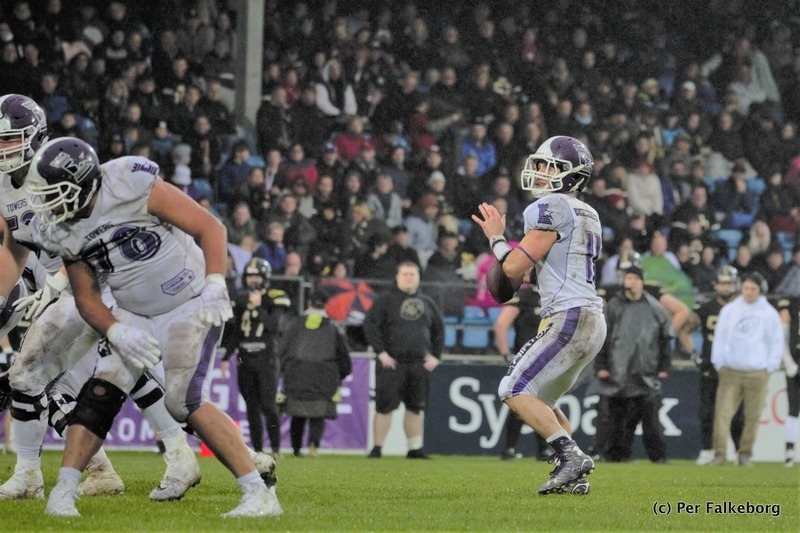 The following two road games are a couple of tough ones against the second and third ranked teams in the country: The Søllerød Gold Diggers and the Triangle Razorbacks. We’ll then finish the first half of the season with two home games. 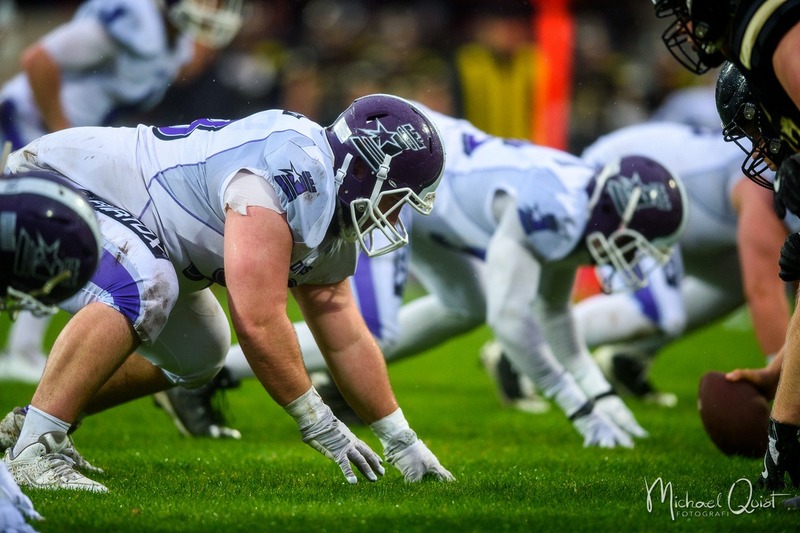 The first is against the fourth ranked Aarhus Tigers, a team that we most recently faced in last season’s semifinal. Then we wrap up the spring against the fifth ranked Aalborg 89ers. After a lengthy summer break we get back into action in late August with the annual Friday Night Football game at home. For the second straight year we will welcome our arch rivals from the north; The Søllerød Gold Diggers. From then on we alternate home and away games against the Tigers, Razorbacks and 89ers to wrap up the 2018 regular season. Ordinarily the National League is made up of eight teams, but this year the Herlev Rebels were unable to file the required number of players’ licenses with the federation ahead of the February 1st deadline. This meant that for the first time in a considerable number of years a team would have to drop out of the National League. We wish the Rebels the best of luck in getting their roster back to the required number of players and look forward to facing them again in a coming season. There are two very long breaks in our National League schedule this year. This is because we will face European opposition in the Northern European Football League this year. The schedule is not completely fixed yet, but stay tuned. We hope to be able to publish that schedule very shortly. You´ll find the full time table with all NL and NEFL dates, printable in A3 or A4, as PDF file at this location.